This Saturday we decided to spend the day along the Shenandoah River, specifically tubing the warm waters at Watermelon Park. 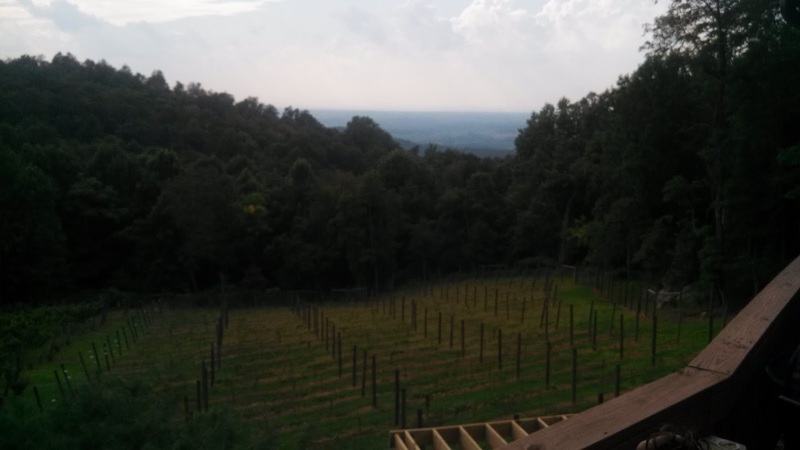 On the return ride towards Loudoun County we had a couple of winery options, Veramar Vineyard, Bluemont Vineyard, and our choice: Twin Oaks Tavern Winery. 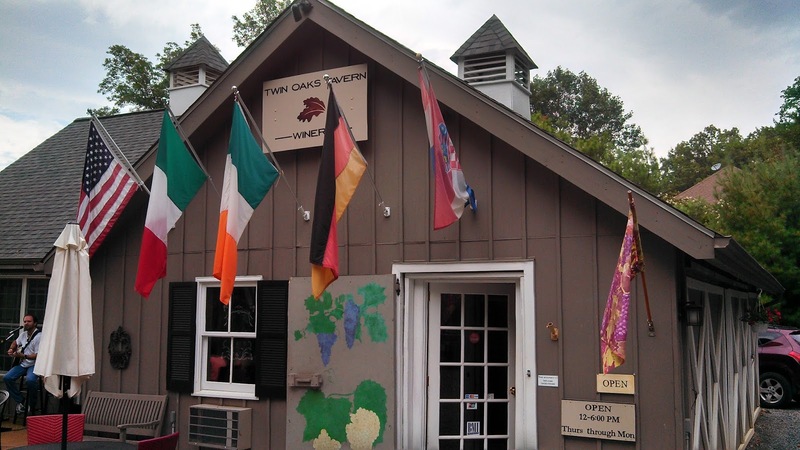 The winery opened a few years ago behind the Evers family's stone house: Twin Oaks Tavern. This building was built around the turn of the century and operated as an inn until the 1950's. Visitors would escape the summer humidity by venturing to the Blue Ridge Mountains, and enjoying the cooler temperatures and views of the Shenandoah Valley below. On our visit, local musician Lenny Burridge was entertaining guests on the patio where we remained the rest of the afternoon enjoying a bottle of Chardonnay. 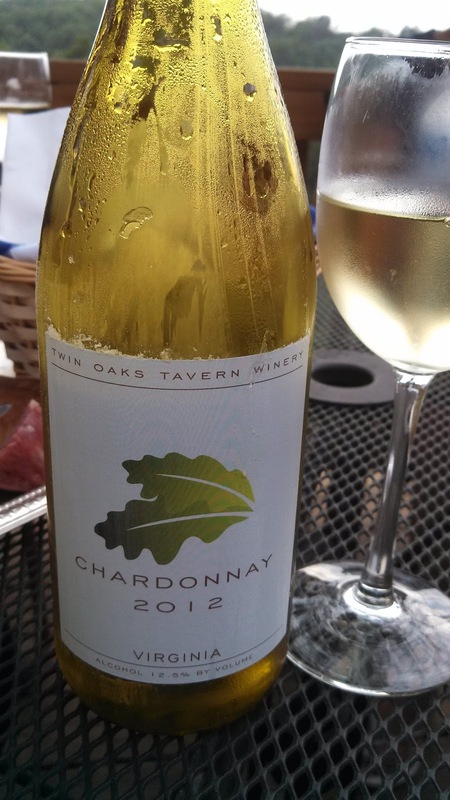 Twin Oaks offers several wines, with the estate Chardonnay the sole white. It is aged slightly in French oak, providing a slightly buttery flavor, but refreshingly acidic finish. The reds were also nice, the Cabernet Sauvignon full of dark, dark cherry flavors and the Raven Rocks Red more berry then cherry and a smoother finish. They also source Norton grapes from Chrysalis Vineyards and the result is a jammy, acidic wine, that should mellow as it ages in the bottle. 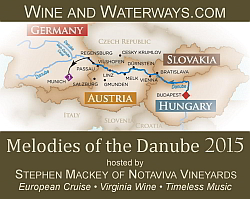 The winery also produces two fruit wines, a peach and a raspberry, but our party definitely preferred the grape wines. And the views of the Shenandoah Valley are quite impressive. A perfect end of the day, listening to Lenny, drinking Virginia Chardonnay, and enjoying the sites. Cheers.